Compatibility is a complex thing. There’s more to it than sharing the same (or opposite) Sun signs, liking the same movies, or growing up in the same town. But just because compatibility is complex, that doesn’t mean it’s hard to recognize. Here are seven signs of relationship compatibility. Wondering if your love will go the distance? Read with a love psychic and find out! One of the first signs of relationship compatibility is the ability to understand and enjoy how each of you verbalizes your thoughts and feelings. This is why so many people are able to find love online. What you say (or write) and how you say it (or write it) should be in line with what your partner says (or writes) and how they say it (or write it). Some couples need to do something grand to enjoy their time together while other couples are content just sitting around and doing nothing. The good news is you don’t have to choose one or the other, but a sign of relationship compatibility is having a broad definition of quality time. Relationships that go the distance are the ones that can turn anything from the grand to the mundane into quality time. It’s time to get a little primal. Did you know that your body was made to find your perfect mate based on their natural smell? Perfumes, shampoos, and colognes have nothing to do with it; you’re giving off a natural odor right now that could be intriguing someone new if you’re single, or driving your partner wild if they’re within smelling distance of you. But you’re more than just a smell! Your body is sharing your story of relationship compatibility and so is your partner’s body. If you like the way they smell, that’s a good thing. However, if you don’t, it means there’s something stinky in your relationship too. Incompatibility seems exciting—if you like roller-coaster rides. But the jealousy, insecurity, instability, and all that fighting happens between two people who are not compatible. Love is worth fighting for, but if you’re constantly fighting with your partner, you aren’t with someone who makes you feel wonderful. Relationship compatibility, on the other hand, feels comfortable. In fact, it’s more comfortable than exciting and more relaxing than confrontational. Your partner should be a source of comfort and contentment for you. If this doesn’t sound like a dream relationship to you, it may mean you prefer the drama and uncertainty of an incompatible partner. First, know that you are deserving of love just the way you are—right now! You don’t have to change the way you are to deserve love and neither does your partner. Unconditional love is part of relationship compatibility. 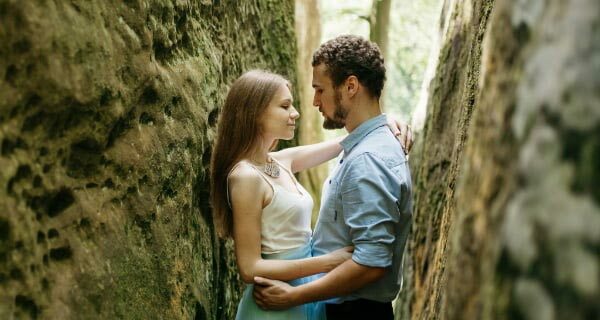 So if you’re with someone who doesn’t like the way you look or thinks you need to make more money or drive a better car before they can give you their love, know that you two are incompatible—and they’re a huge jerk. It’s true that you can love someone deeply, but keeping your relationship going requires too much effort. If that’s the case, it seems you have some work to do—as individuals and as a couple if you choose to stay together. Making an effort shouldn’t feel like an effort, but if it does, it could mean that your partner isn’t making much of an effort themselves.